What is good about raw dessert is that it is totally free from gluten and dairy and therefore makes great for people with allergy. It is made of wholesome ingredients with all goodness, easy to assemble, no baking time and delicious, too! 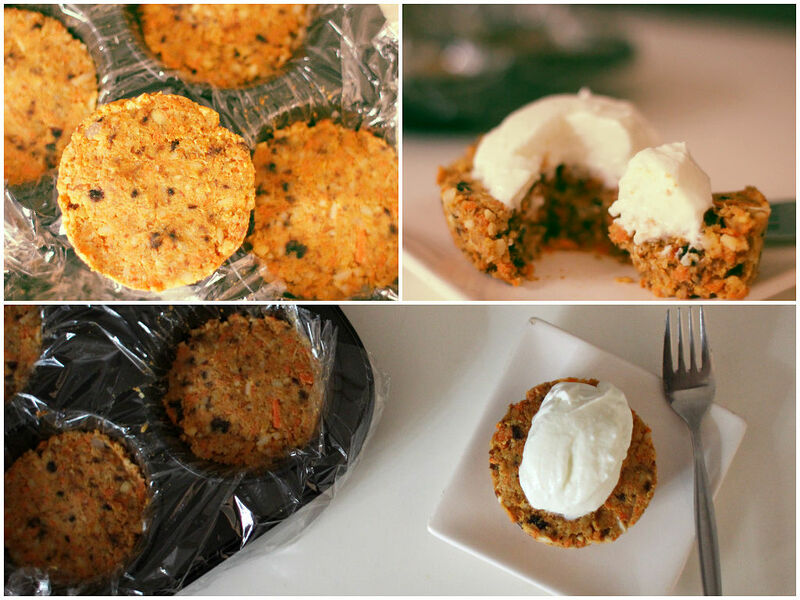 Here are some of the ingredients of this raw carrot cake with health benefits. I didn’t add any sweeteners for this recipe except using dates. If you have a sweet tooth, you can add honey or maple syrup or any of your favorites. Himalayan salt: made up of 62-85% sodium chloride and 14-38% other trace minerals including sulphate, magnesium, calcium, potassium. Cinnamon: regulates blood sugar, great for diabetes, helps with stable energy levels and moods. Vanilla bean powder: contains small amount of B complex vitamins and minerals such as calcium, magnesium, potassium, manganese, iron and zinc. Place all the ingredients in your food processor and blend until you get a dough consistency. Place a cling-film over the muffin tin and spoon the cake mixture into each hole. Press firmly and set in the fridge. 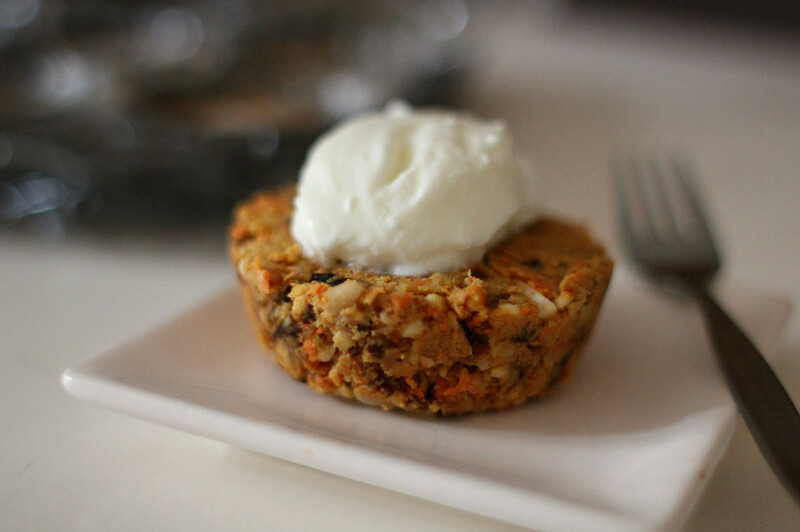 Serve with thick Greek yogurt.